Thank you to the Idaho Falls Progressives for sharing this letter they wrote to our Members of Congress. Every Tuesday at 8:45 a.m., the Progressives meet in the lobby (go around to the North side) of 410 Memorial Drive to deliver letters to our Congressional Delegation. Find out more on the Progressives Facebook page. You can also learn more about the Net Neutrality battle by attending a town hall-style meeting on December 4, 7 p.m., at the Library. Find out more on the Facebook event page. The FCC’s proposed new plan is to dismantle this success by eliminating “net neutrality.” It would instead give internet providers broad powers to change service levels and prices at will, allowing them to exclude many users, especially small and start-up businesses. It would allow them to determine what websites and online services customers use, and even what they see. The power to block content and access has a name: it is censorship. This is contrary to the most fundamental principles of freedom and our Constitution. It is also bad business. Net neutrality has given unprecedented advantages to Idaho’s farms and businesses, wherever they live. As we write, agricultural producers in eastern Idaho are using the internet to check market prices and weather forecasts, download consultant recommendations for winter soil conservation, and sign up for webinars bringing them the latest agronomic and technical insights – without having to leave their farm. Businesses large and small are updating their websites with product and price information that brings the world to Idaho. Start-ups are using the power of the web to announce themselves to customers they could not otherwise reach, build their network of partners, and recruit good employees. Cities and regions are attracting tourists and new businesses through their websites, showcasing their attractions and advantages to people who might otherwise drive on by. Like the successful rural electrification projects of the past, net neutrality has brought social benefits as well. The open-access internet helps raise a new generation of informed, entrepreneurial citizens — and keeps the older generation connected at the same time. Idaho students from elementary school through university are using the internet to take classes, and learn about global subjects, that are not available in their schools. Grandparents, meanwhile, are using their iPads to talk to their family and friends, staying connected and engaged in ways that not only help their family, but directly support their own health and wellbeing through continued social connection. Broadband telecom service is the gateway to modern communication, information, entertainment, and economic opportunity. Like the telephone before it, and the electricity that enables it, broadband is thus a utility. The FCC must not restrict its advantages to a few. Please ask the FCC to continue its existing policy of net neutrality under Title II of the Communications Act, which treats the net the same as other public utilities. For over a quarter century, a broad array of telecommunications, from cellular voice services to on-demand TV, have prospered under this system. Broadband has prospered and will continue to as well. Most importantly for Idaho, rural consumers will continue to prosper also, if the sweeping new price-fixing powers now proposed are not imposed on Idaho. Giving a few large companies a monopoly to raise the rates, as the FCC’s current head contemplates, will be deeply harmful to rural residents of our state. The FCC is not representing consumers with this new plan. Over 20 million Americans have commented with strenuous objections to the elimination of net neutrality. Protesters have begun to gather outside stores and offices of Verizon, whose former general counsel, Ajit Pai, appears to have decided to deliver this gift to Verizon and the handful of other large broadband service providers at the expense of the millions of citizens and small businesses whose interests the FCC was established to serve. Please remind the FCC that their function is to facilitate the provision of communications services to all, not to blackmail consumers for the profits of the few. ISP investments accelerated following the 2015 clarification. For example: aggregate capital expenditures by publicly traded ISPs have risen by more than 5 percent during the two-year period, and investments in core network technology at cable companies during that same time period are up by more than 48 percent. Investments in the edge are up as well, including those by online video providers and edge computing firms. For example: capital expenditures by firms in the U.S. data-processing sector increased 26 percent in the year following the FCC’s order while there was just 4 percent growth in the year prior. More new U.S. “over-the-top” video services launched in the two years following the vote than in the seven years prior. Furthermore, the certainty created by the FCC’s action spurred the entry of numerous pay-TV full replacement providers, with vertical carriers such as AT&T now distributing (and others poised to distribute) their payTV services via other ISPs’ last mile networks. For carriers, the 2015 Open Internet Order and accompanying legal classification decision “settled the prior uncertainty about open, nondiscriminatory broadband telecom service access.” The results of that decision have been a stunningly successful period of U.S. investment and innovation (S. Derek Turnet, May 2017: “It’s Working…”, p.2, available online at www.freepress.net). The plan by representatives of already successful firms to undo the agreement that has brought them that success is spectacularly unwise. Killing the golden goose will not bring them more golden eggs. Please retain our open telecom service access for the continued success of all. Since its inception in 2005 under George W. Bush, net neutrality has marked a bipartisan, publicly supported, and commercially successful revolution for American ideas, industry, and individuals. Destabilizing this key sector now on the caprice of a few, against the wishes of the public, and to the detriment of many Idahoans – especially those in our many rural regions – would be a disservice to all. There is no need to dismantle and destabilize the system that is doing so much for everyone, from businesses to schools, rural producers to retired grandparents. 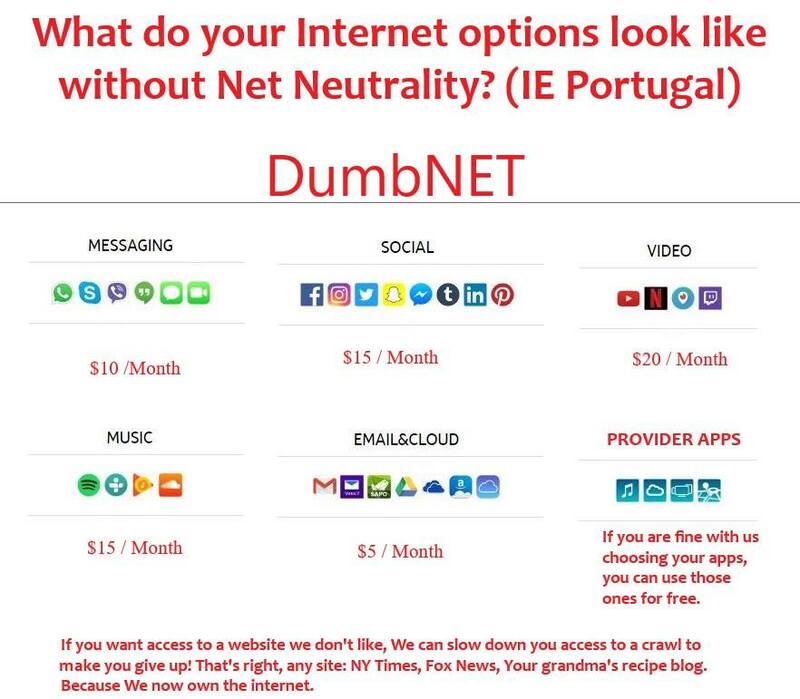 Please act now to retain net neutrality. This is useful web for me. P.S. : Looking forward for upcoming updates! If you are going with the principle companies and you will get the full insurance. DOMINIC KING AT WEMBLEY: The past five weeks have been eventful for the Anfield club and here Sportsmail assesses what shape Liverpool are in ahead of the new campaign. Liverpool’s demolition of Barcelona at Wembley cued wild optimism… but how is Jurgen Klopp’s side shaping up ahead of the Premier League season? The Facebook Messenger application for apple ipad is actually readily available to download and install from the Application Establishment, and also works with apple ipad tablet computers working iOS 7 or even later on variations. Instead, you are getting coverage from your major health carrier that your particular broker did business with. Hi there, I found your site via Google while searching for a related topic, your site came up, it looks good. I’ve bookmarked it in my google bookmarks. I wouldn’t mind composing a post or elaborating on a lot of the subjects you write in relation to here. the structure for your weblog. Is that this a paid subject or did you modify it yourself? website presents quality based articles. When someone writes an piece of writing he/she keeps the plan of a user in his/her brain that how a user can understand it. Very good article! We are linking to this great article on our site. Keep up the great writing. Pretty component to content. I simply stumbled upon your web site and in accession capital to say that I acquire actually loved account your blog posts. Any way I’ll be subscribing for your augment and even I achievement you access consistently quickly. This is a really good tip particularly to those fresh to the blogosphere. Brief but very accurate info… Thanks for sharing this one. A must read post! Howdy! This post couldn’t be written any better! Looking through this post reminds me of my previous roommate! He always kept talking about this. I am going to forward this post to him. Fairly certain he’s going to have a great read. Many thanks for sharing! Everything is very open with a really clear description of the issues. It was definitely informative. Your website is extremely helpful. Thank you for sharing! Hello to every single one, it’s genuinely a pleasant for me to visit this website, it includes priceless Information. about. I’m very happy I found this in my hunt for something concerning this. you are really a good webmaster. The web site loading velocity is incredible. plugin that might be able to resolve this problem. If you have any recommendations, please share. Your style is so unique in comparison to other folks I have read stuff from. Many thanks for posting when you’ve got the opportunity, Guess I’ll just bookmark this blog. Good day! I could have sworn I’ve visited your blog before but after browsing through some of the posts I realized it’s new to me. Anyhow, I’m definitely pleased I discovered it and I’ll be book-marking it and checking back regularly! Excellent way of telling, and good piece of writing to obtain facts about my presentation subject matter, which i am going to deliver in college. much. I was seeking this particular info for a very lengthy time.